We’ve all experienced the growing pains of transitioning from kid, to tween, to teen. Blending treasures from toddlerhood with tournament trophies and a poster of their favorite idol can perplex even the most skilled design minds. As they mature, so do their interests and passions, not to mention the size of their furniture. 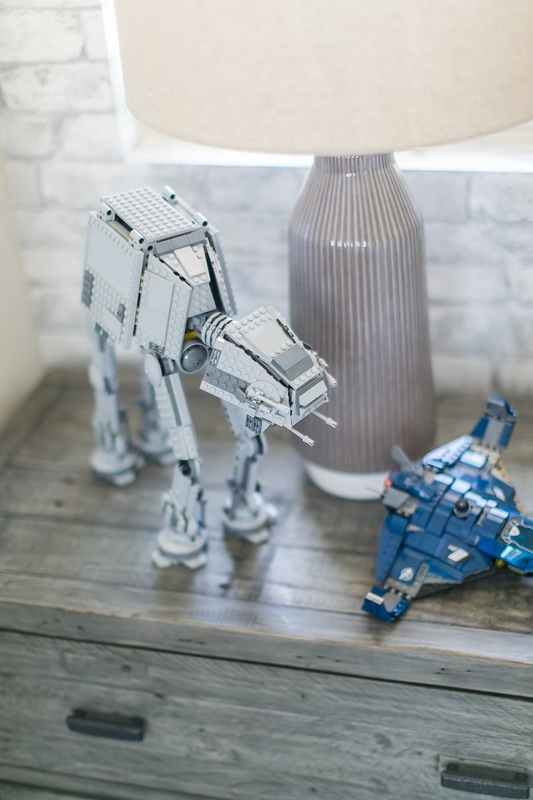 These in-between moments before adulthood, can be some of the funnest times to team up with tweens and create a space that reflects their development and personality, in a way that we simply can’t as adults. 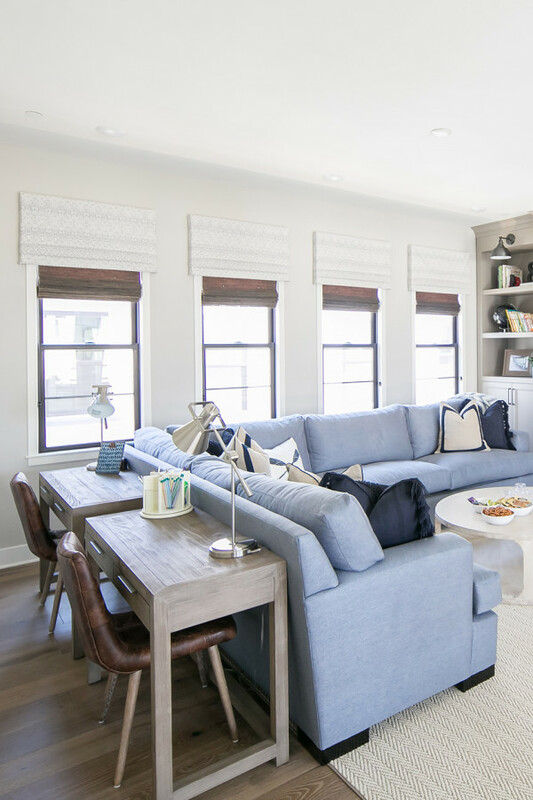 Helping tweens and teens express themselves in a space designed just for them, that also fits the family home, is a specialty we’ve come to love and we’ve rounded up some of our favorites to share with you all. Without further ado, here are some highlights from our young clients! 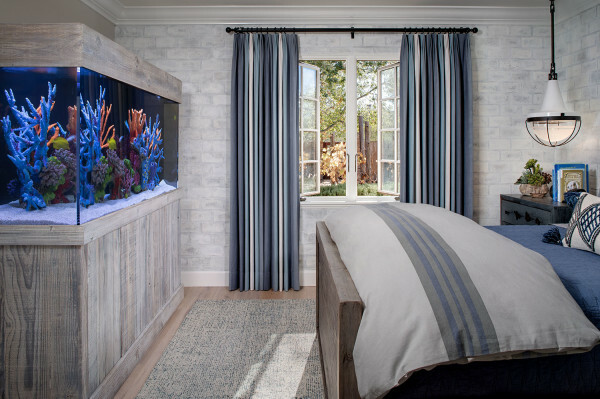 Neutral ocean hues and an aquarium en lou of a tv, for the sea aficionado. The white washed brick walls soften the masculine brick while maintaining a sturdy surface for roughhousing youth. 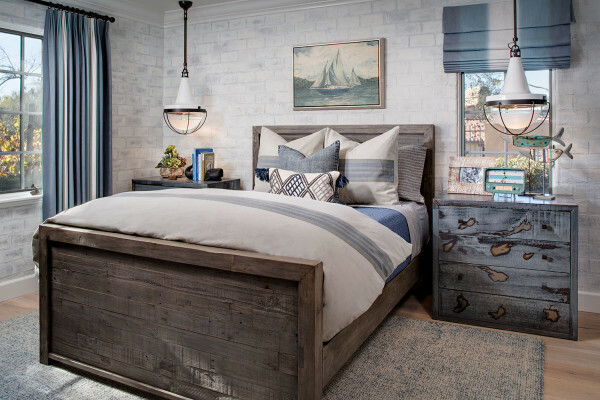 Nautical accents continue the sea theme, including these pendant lights from Schoolhouse. 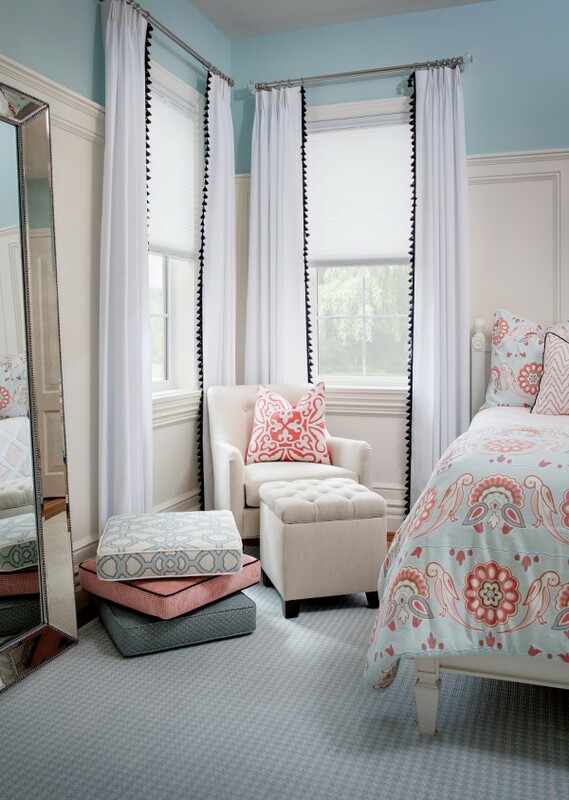 Bedrooms often serve as multipurpose spaces. Besides sleeping quarters, they are used as hangout space. Patterned floor cushions provide extra seating for entertaining guests and the large full length mirror should hopefully cut down on time spent getting ready in the bathroom. This dedicated teen dreams of flying in the air force one day. In case you’re not familiar with the futuristic building in the background, it’s the Cadet’s Chapel at the Air force Academy in Colorado. A full scale wall decal takes place of individual posters and the grey and blue tones create a contemporary feeling. There’s a bonus “heading indicator” aka compass decal, similar to ones found on planes. 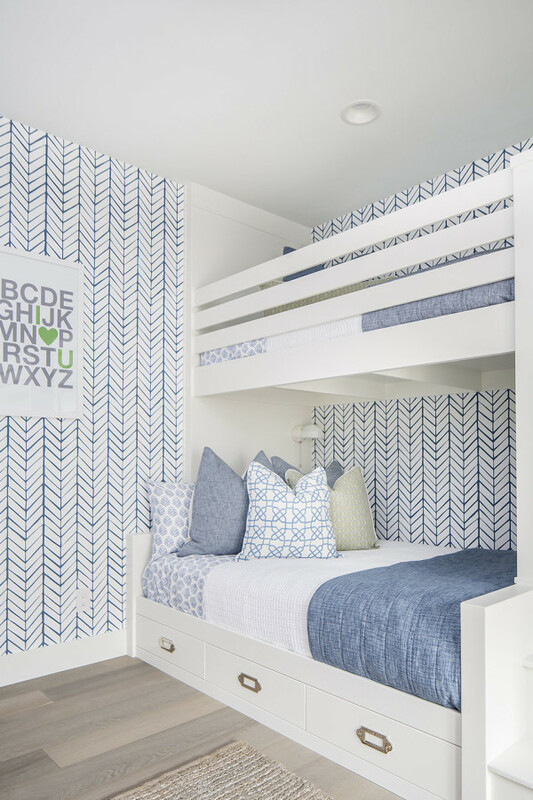 This gender neutral space raises the sleepover game to the next level. Each cubby has a dedicated reading light with built-in stairs and ample pullout storage. 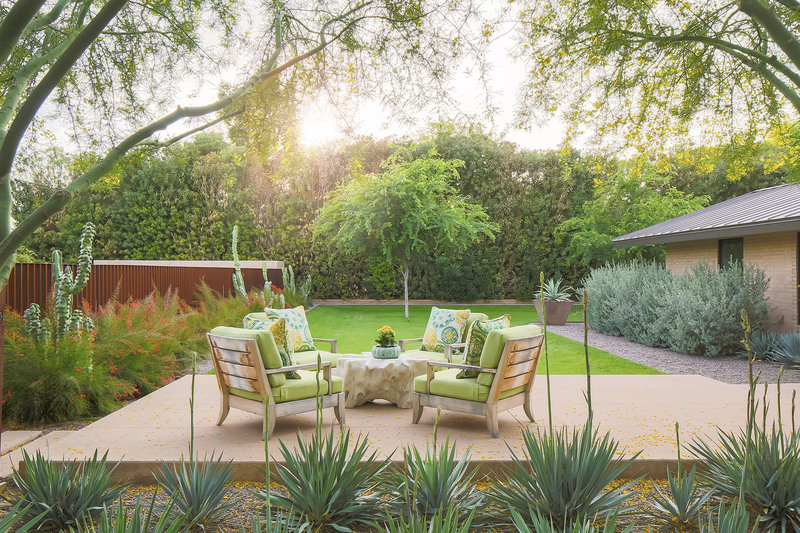 French doors lead out onto the courtyard and give the guests easy access to outdoor fun. 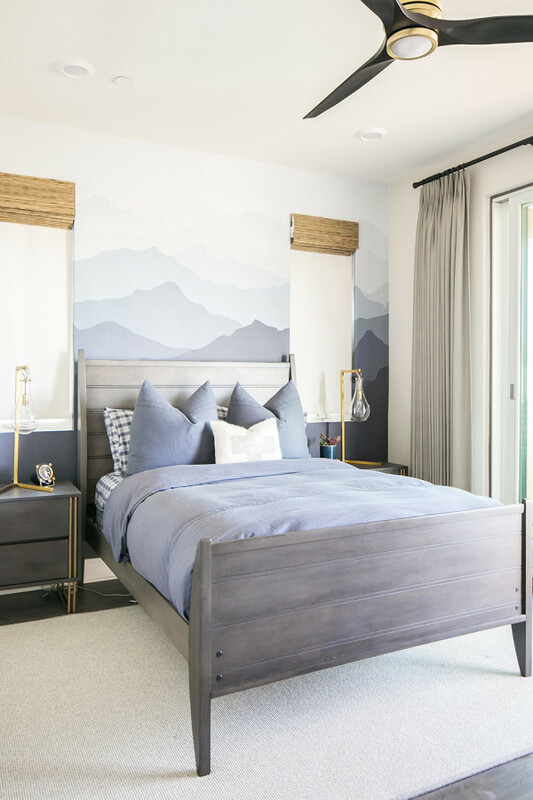 Graphic wallpaper can be a risky endeavor for even the most seasoned designer but when you find the right one it’s magic! We found this feather print at Serena & Lily. 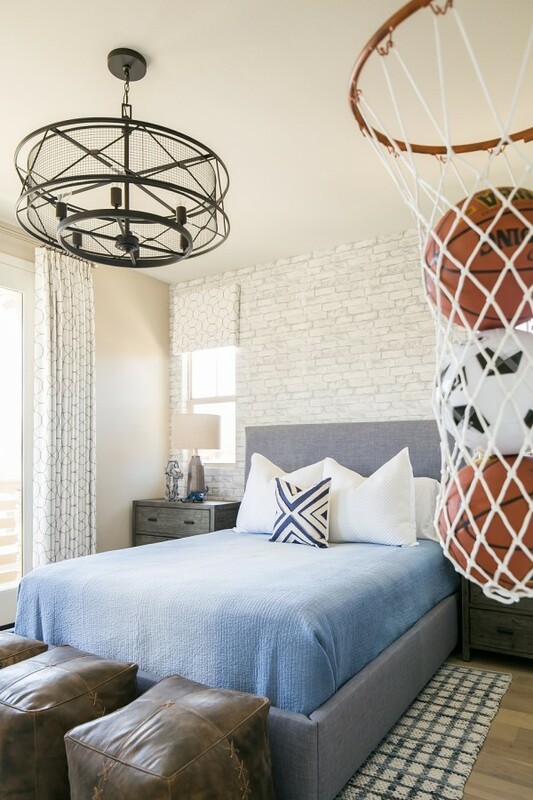 We call this sports theme lite with football inspired ottomans and basketball hoop storage. World maps are a favorite of ours, especially for teens interested in travel and exotic locales. They can easily locate far off destinations and start plotting their travels. 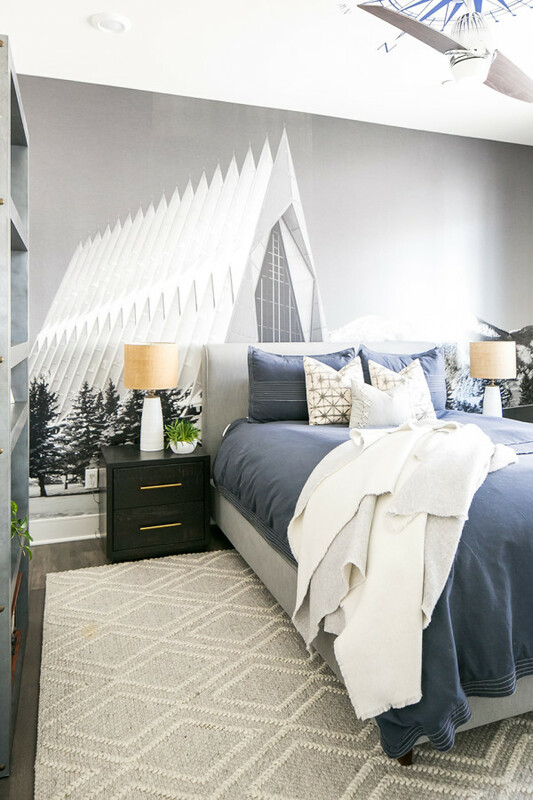 For this snowboard enthusiast we commissioned a subtle mountain range decal that can easily be removed if passions change. 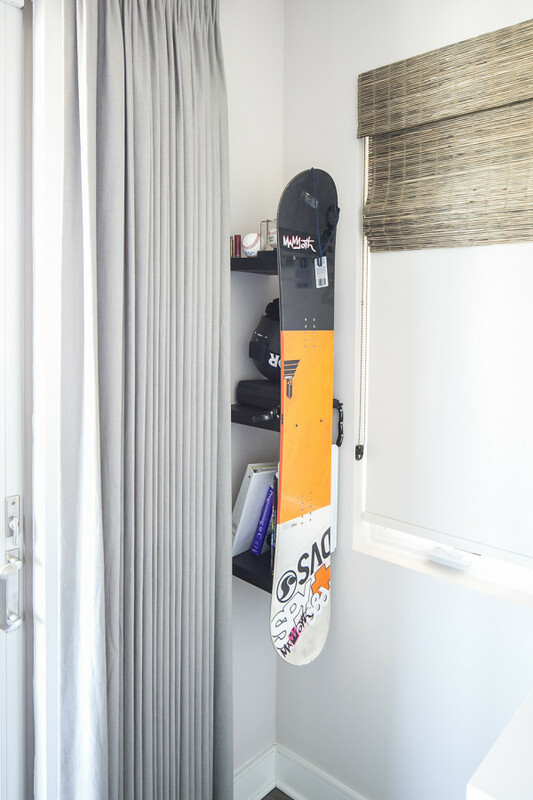 A retired snowboard was converted into hidden storage and continues the theme. This bonus loft space is ideal for hangouts and relaxing after school. Desks line the backside of the couch and define the homework zone.